Thread illuminator into side of eyepiece barrel-s threaded hole. Rotate focusing ring until crosshairs are visibly sharp. 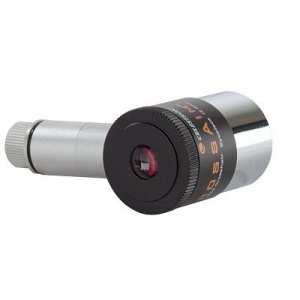 Use your telescope's focuser to focus on an object through the eyepiece. Rotate the On/Off brightness control knob to turn on the red LED illuminator. Turn knob to increase brightness to desired level.